"Exceeded my expectations!" | "Beautiful color, amazing fit!" | "The material is nice and stretchy, and the dress just looks classy!" 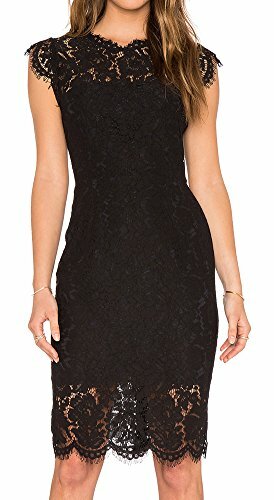 The MEROKEETY lace cocktail dress is a classic piece that belongs in every woman's closet. Whether you wear it to a wedding, a holiday party, or on a hot date, this dress offers the figure flattering look you have been searching for at a price that you can afford! 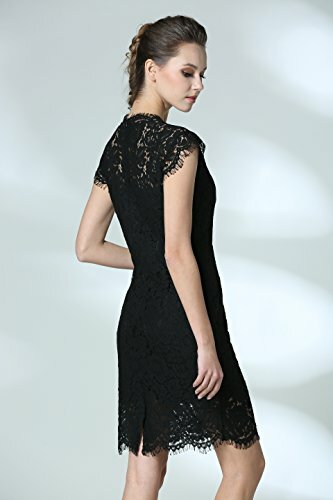 The all over lace design is fully lined and features a sleeveless design, a high neckline and knee length hem. The soft and stretchy material makes it comfortable to wear to any event while making you look fabulous! 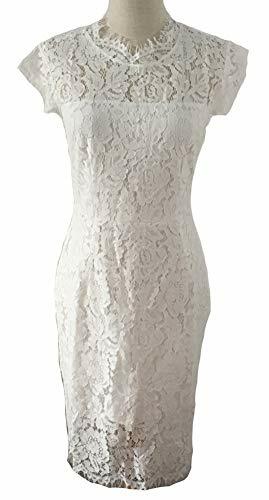 Our lace party dresses are made from high quality polyester that offers a flexible fit and accentuates your curves without the need for a zipper. The dress is available is sizes S-XL, and is made in the USA. MEROKEETY party dresses are machine washable, making the inconvenience of taking it to the cleaners unnecessary. Simple wash the dress on a gentle cycle, tumble dry on low and prepare to wow at your next special occasion. Customer service is a top priority at MEROKEETY, and we stand behind all of our dresses. If you are not satisfied with your purchase, please contact us so that we can make it right. MEROKEETY provides high quality and versatile evening wear to help you achieve a look that won't soon be forgotten--without breaking the bank. Order your lace cocktail dress today and be ready to dazzle the moment you walk through the door!